The population of the USA is aging at a phenomenal rate. 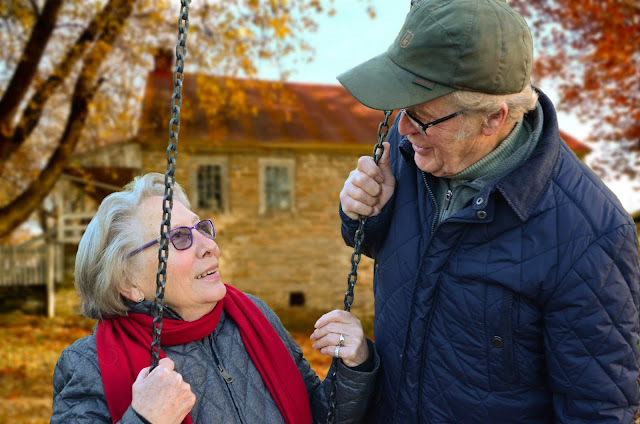 People are living longer and a dropping birth rate means that the % of people who could be considered elderly is the highest it has ever been. So, the chances are you have someone who is in their 70s, 80s or 90s in your family. No doubt, that person wants to continue living in their own home. You want that too, but you worry about their safety. In particular, people knocking on their door and scamming or robbing them. If that is you, this article should prove helpful. As you will see, there is a lot you can do to reduce this risk. A friend of mine ordered some no solicitation signs from the web and asked everyone in her street to put one up. Most people did, and it appears to have dissuaded the scammers and salespeople from targeting her street. In most areas, if you have a no solicitation sign up it is against the law for them to knock or ring. They know that if they do so, especially in an area where lots of people are on the lookout, the police will be called. This really puts them off. Even if the neighbors say they would rather not put a sign up on their property, your elderly relative can still have one on their gate or door. If someone ignores the sign, they can simply point it out to them and ask them to leave. They can also call the police. CCTV style cameras will also put most door-to-door scammers off. If your relative does want them installed, first, check what the State regulations are. In some States, you are not permitted to install hidden cameras in your home. So, if you want to use cameras, you will need to put up a notice to tell people they are there. In many cases, scammers will avoid visiting that house simply because they do not want to be caught on camera. Another similar approach is to install a remote access doorbell and link it to an app on your Smartphone. There are some great articles out there that explain, in more detail, how you can use them. But, basically, when someone rings the bell at your elderly relative’s house you will be alerted to that fact. At that point, you can speak to that person or listen in while your relative handles the situation. Either way, they are not left on their own to handle callers who may not have their best interests at heart. This last one is very important. All doors into the property should be fitted with a security chain. With it on, the door can only be opened so far. They make it a lot harder for someone to push past your relative to gain access to the home. The above, in combination, all help, to make it harder for callers to scam someone who is elderly. However, it is also important to stay in touch with your relative. Keeping the channels of communication open will make it easy for them to tell you if anyone is bothering them. That way, you can help them to deal with the issue before things get out of hand.